It’s just been some months since I’ve switched my keyboard layout from QWERTY to Dvorak and I’m on 60 to 70 WPM(Words Per Minute). I could have increased more than this but I didn’t practice more on it. Even if I didn’t practice I’m on 60 to 70 WPM which is pretty good on average. I was on 86WPM on QWERTY. I will be able to reach 86WPM in some time from now. If I practice then it will be even more easier for me. So, How did I increase my typing speed? There are many resources I used and I’ll share all of them with you here. 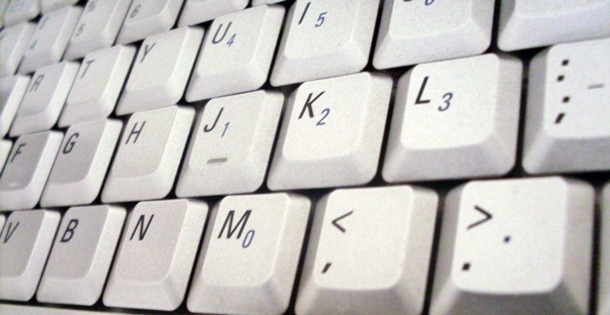 It’s an online typing tutor which helps to increase your typing speed. You can easily figure out your WPM through this website. I mostly use this website to calculate my WPM. It gives you random texts to type for one minute and evaluates it to give you your legendary WPM. I increased a lot through this website because I got chance to measure my WPM. If I was unaware of my WPM then I probably wouldn’t be interested in increasing it. I could measure my typing speed, so I increased it by challenging myself every time. It’s exactly what Peter Druker said,”What gets measured, gets managed”. This website worked for me because I could measure my typing speed every time and I could challenge myself to increase it on my next attempt. It also has competition and you can take part in it. If you like challenging other people then this works great. This is also another online typing tutor but with game. It’s exactly like a car race. You need at least two players to play this. If you are alone then the website will give you a random opponent or you can send the race link to your friend and play with them. It’s really fun. They’ll give both of you set of words and then you’ll have to complete it by playing a typing race. You can even see car’s moving towards the finish line when you play the game. This is better for two players. You can challenge your friends and family members. It’s a game after all. TIPP10 is a typing tutor. You have to install it in your computer and you can start typing through it. There are many lessons and drills. The best approach you can take is to do touch typing through TIPP10 everyday for atleast 10 minutes. That’s what I did to increase my typing speed along with 10 fast fingers and type racer. You don’t need anything to do free writing. You can open your notepad and write everyday for some time. You need to allocate and separate some time everyday to write something. Just mind dump it. Write whatever you want to write about. I am writing this as my free writing exercise. You have many things to write about. Just keep writing. If you go out of words then describe the place you live in or write about the environment and whether of your place. There are loads of stuffs to write about. People who say that there’s nothing to write are just making excuses to not write. You can easily increase your typing speed through this method because you will have to connect with your brain. In case of typing tutor, the tutor will give you set of words to follow but while you do free writing on your own, you will be able to bring down your thoughts to words and connect your brain with fingers to type. You will wire your fingers to type what your brain thinks. Free writing is the best way to increase your typing speed. I have been doing this for a long time. I miss TIPP10 but I don’t miss free writing. And the best part is that you can do free writing in any type of computer. Because it doesn’t require any software. Increasing your typing speed can be really helpful because you’ll increase your efficiency and get more time for other works. When you can complete a task which require’s triple the time, you’ll have other free time to work on stuffs that are important for you. Nowadays, the world is on the Internet, so you will have write something everyday. If you’ll increase your typing speed then you’ll have advantage against those people who don’t have good typing speed. You’ll be more effective and faster. Have you tried anything to increase your typing speed? If yes, What do you use? And if you would like to play type racer with me then comment below. 😉 I’ll send you the link for the challenge.